After a five-year hiatus, the Grand ol' Men of power trios return with their nineteenth studio album. And if you think that the layoff made them rusty, rest assured that Geddy Lee, Alex Lifeson, and Neil Peart have not lost a bit of their chops. 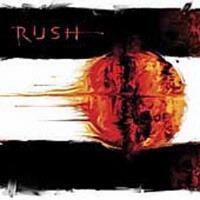 Sporting a back-to-basics sound that includes no keyboards, Vapor Trails shows that Rush can outrock players half their age. The album needs the listener's undivided attention, though, as the band avoids any sort of clichés in their compositions. The personnel on this album is: Geddy Lee, bass and vocals; Alex Lifeson, acoustic and electric guitars, mandola; and Neil Peart, drums. Peart kicks things off with a double-time riff, and Lifeson's guitar sounds like a swarm of bees - all a rather unsettling environment for a song whose lyrics are rather upbeat. This is a high-energy number which is mainly Lee's vehicle to take off. His bass takes the lead early on, nimbly staying high on the neck while mapping out the main riff, and he even gets the first solo of the album. Lifeson offers a little more space on the opening verse before putting some muscle in his playing. Compared to other songs on this album, this is perhaps the most restrained selection. Peart's hi-hat playing keeps the cut on an active pace. The band sounds like Yes in places here, Lee mimicking Chris Squire's high-note riffing while Peart lays back like Alan White. They get into a heavy, syncopated pattern in places as well, playing ¾ over a 4/4 pattern. The chorus is a bit open with backwards-tracked guitars and Lee's bass wandering the high and low ranges. The lyrics are a bit of a flashback to Neil Peart's Ayn Rand phase regarding independence and destiny. This comes closest to the mid-era Rush, and is perhaps the best bet for a hit single, with its accessible chord patterns. Lifeson's acoustic guitar work plays a big part in this arrangement. Lee gets a lot of mileage out of chord playing on the fills between vocal lines. In an instrumental break Lifeson uncharacteristically avoids going off on a solo and simply plays rhythm guitar. This tune also seems rather radio-friendly. Calling all air instrument players - this tune contains a crunch riff that'll have you playing virtual guitar or drums in no time. After the last two songs, the band turns it up a notch. All three musicians sound like they're having a fun time just cutting loose. Lifeson's solo is all chordal, maintaining the track's drive. Towards the end the band gets into a funk-based groove. Lifeson may be at his beefiest on this track. The band jumps into different meters at the drop of a hat on the bridge and chorus. Rush haven't gone this tricky with their time signatures in years, but they still have the flair to pull it off. "Did I have a dream or did the dream have me?" Given that the song deals with dreams, "Nocturne" gets rather intense in places. During the verse Peart plays around the edge on the tom-toms and Lifeson adds some rather clean, precise fills. The band kicks in hard on the verses, though. And in the end, "The morning says, the answer is yes." Rush pick up the "Fear" saga with this, perhaps the most complex and most adventurous piece, musically and lyrically, on the album. Again the band toys around with tempos in fives and sixes, but Peart often keeps to a simple 4/4 pattern. The guitar builds in intensity towards the end, turning into a wall of sound behind Lee's vocal before easing up. They include a straight four-on-the-floor rocker here to finish out. Lifeson comes about as close to a solo here as anywhere else on the album. The band sounds as though they're having real fun on this cut, and Lee's final refrain - "Endlessly rocking" - sums up the career of a band that shows that they haven't missed a step.